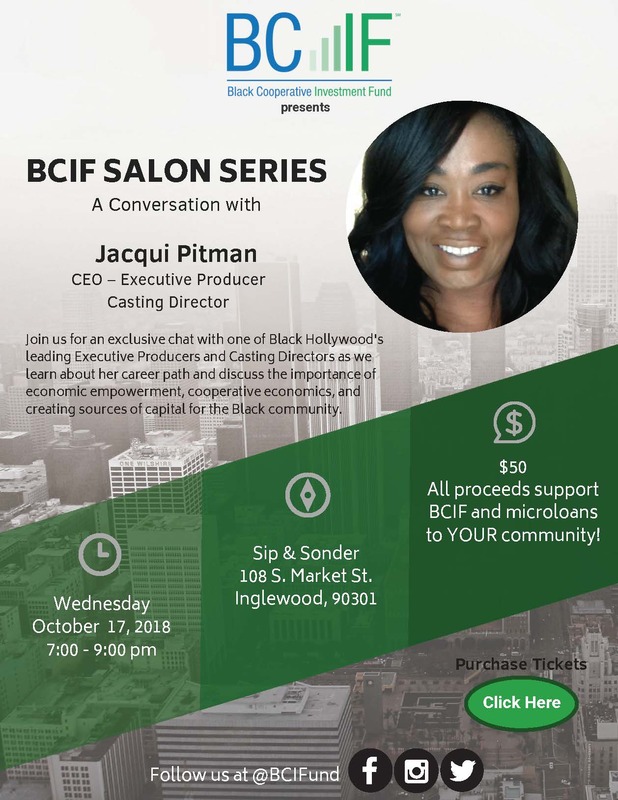 A $500,000 FUND COULD RESULT IN $1.2 MILLION IN ASSETS BEING GENERATED IN SOUTHERN CALIFORNIA’S BLACK COMMUNITY, A 145 PERCENT GROWTH RATE ON BCIF’S INVESTMENT!!! One-year commitment required. Minimum of $1,000 annually, can be a one-time annual gift or monthly contributions for 12 months. Loans range between $5,000 – $20,000. We invest to build financial assets by helping individuals or businesses. With $500,000 in the fund, BCIF’s investments can result in $1.2 million in assets generated for Southern California’s Black community annually. 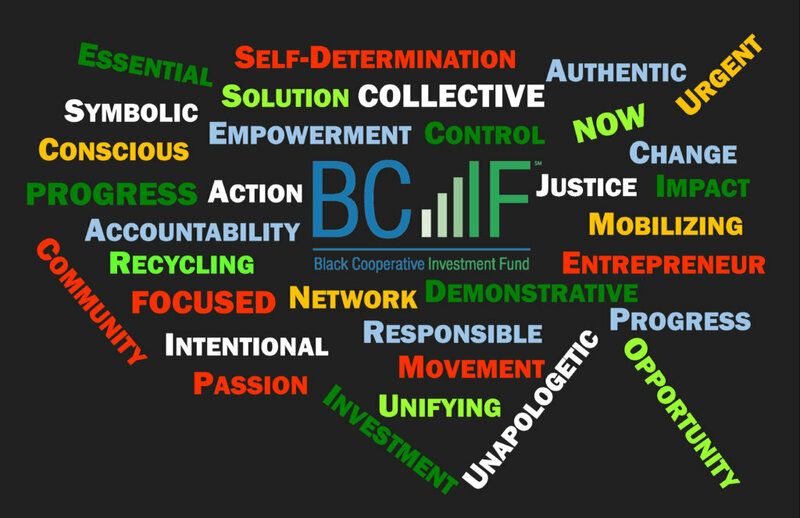 Founded in 2016 and launched in January 2017, the Black Cooperative Investment Fund (BCIF) is a community-based 501(c)3 nonprofit fund based on the tradition of cooperative economics. BCIF provides microloans to African Americans that have a high likelihood of building financial assets. Our mission is to create social change for the Black community through the primary strategy of building assets and wealth. We provide microloans through pooled dollars from individuals and companies who are passionate about economic empowerment for the African American community. Housed at OneUnited Bank, BCIF has a specific focus on communities in the Southern California region. The vision is to provide a dedicated, reliable, and perpetual source of capital to create assets and build wealth for, and within, African American communities. 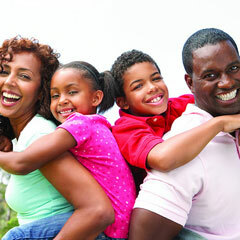 We provide affordable, low-interest, low-fee loan alternatives to traditional lenders. All earnings from interest repayments are reinvested into the fund to grow and sustain the fund for long-term usage in the Black community. Annual fundraising goal: $500,000 will allow the fund to distribute 24 – 36 microloans annually, ranging between $5,000 – $20,000. African Americans’ economic growth when compared to whites has remained stagnant since the Jim Crow Era. 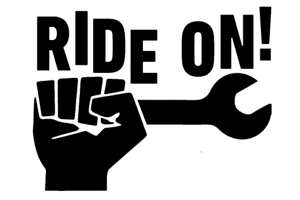 Additionally, the growing American backlash toward efforts to uplift people of color and the general ineffectiveness of traditional (and/or outdated) social justice efforts require African Americans to galvanize its resources to spur economic growth. Economic empowerment is the main tool that will “move the needle” forward for the Black community and bring the desired change we seek. "I believe recycling our dollar within our community is essential for economic, social, and political progress. When I say community, I am speaking of all people of African descent whether we live in the same neighborhood, city, or state. We are all intertwined because we not only share a common history, but a common destiny. It was an obvious decision to become a donor with BCIF given its focus on unifying and uplifting our community through economic empowerment." "I became a BCIF member because I care about what's going on with Black people as a whole in this country. I know as long as we lag behind others economically, our efforts for change are going to be longer, harder, and slower. I decided to put my money where my mouth is and become involved in an effort that will produce real change for people in communities I care about. It's always time for those who are passionate about Black progress to do the same; put some 'skin in the game'! It's all about action and I choose to do that through the power of my dollar." "Empowering the Black community through economic development is not a Black issue. This is a matter of justice. As a white philanthropist, I can't imagine anything better than investing in justice through BCIF." "Becoming a BCIF member was a 'no brainer' for me. Marcus Garvey said: 'A race that is solely dependent upon another for its economic existence sooner or later dies … so we will in the future suffer if an effort is not made now to adjust our own affairs.' We don't think twice about giving our money to institutions that have no interest in our well-being. We must return to our rich tradition of supporting one another. I was eager to join a movement that is intentional about economic empowerment for the Black community." "People might wonder why as a non-Black person I became a BCIF member. It's simple: I believe in the right of all Americans to experience the American Dream. Rather than give to organizations that keep people 'in their place,' I'd rather be part of an effort that helps people leverage dollars to pick themselves up by their bootstraps … or in some cases, give themselves the boots. When you have the financial capacity, you can live where you want, send your children to the schools you want, and enjoy all the social mobility that all of us aspire to have. If I'm not willing to involve myself in helping people succeed, then I'm part of the problem." "If your community is important to you, then sustaining it should be as well. We must push through one of the most gentrified times in our history in this country but we can do it together. We must find different means of doing for ourselves. BCIF is a way to do that. For my community, it shows I put my money where my mouth is. The symbolic aspect is others get to see that we have unity and collectively can pool our money together for the betterment of our community as a whole." "I am a firm believer that a community's health - be it political, social, physical or mental - is closely linked to its economic health. Few communities more clearly demonstrate this than the African American Community. Our anemic economic health has ripple effects that can be seen in virtually every aspect of Black life. My desire to help shift that paradigm in my community was the impetus for my investment in BCIF. Collectively, we must begin to be more intentional and strategic with the use of our dollars and make decisions with them that grow and better our community. Participation in BCIF is one avenue to do that." "Cooperative economics is one of the truest forms of solidarity that allows us to pool individual resources for the service of common goals. Therefore, my commitment to BCIF reflects my commitment to the betterment and evolution of myself and my community. BCIF is essential to furthering our common goals because it provides an accessible platform, responsible oversight, and leverages the network effect. I am proud to be a member of network of change agents dedicated to reversing the trend of racial inequality." 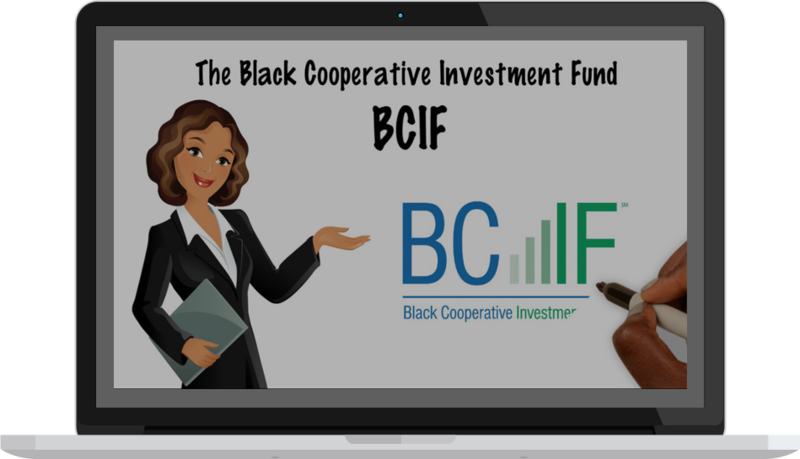 "Becoming a member of BCIF is a good investment and a way to fix the imbalance in how much investor dollars circulate in the African American community. We must stop complaining and just make a conscious effort to do our part. Even a dollar a month from one million people is one million dollars and twelve million a year of funds we can circulate through our community to create jobs. Those jobs aren't just minimum wage opportunities. 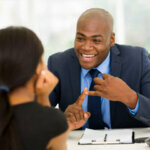 Our investment can create management and executive level careers for African Americans as well." "I have always believed that everyone deserves an equal opportunity and wanted to help those in the community that didn't have that for whatever reason. BCIF is allowing people to improve their lives and take advantage of opportunities that they would normally never have. I truly believe everyone should payback the chance that was given to them. This is not charity, this is simply leveling the playing field. Unfortunately in America, opportunity does not come evenly to all, so if you want to help, do it where you will have the most impact, for good people who just need a small helping hand." "I became a member because BCIF was an innovative organization that infused capital into small businesses in key parts of the Los Angeles community. I wanted to be part of an organization that provides opportunities to individuals that are not able to get commercial loans and are stymied in their ability to grow and prosper. I want my money to go directly to entrepreneurs with a plan but no access to capital. I want to make a difference, and not ignore the institutional racism which hinders many in their ability to get ahead and prosper." "I became a member of BCIF because I recognized the critical need for this in the black community. Given the poor access to capital for those who want to start small businesses, BCIF is critical to fulfilling that need. I'm happy to support that work as a member. Others who understand the unique need of the black community to be empowered with access to business opportunities is why others should join. Becoming involved with BCIF says to others that our community is ready to control its own destiny and economic power." 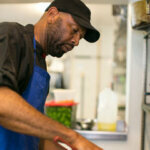 "I became a member of BCIF to support the economic growth and prosperity of the Black community. I believe my gift to BCIF has a profound impact on the income mobility of the Black community. For those who want to shape economic, social and political change for our community, partner with BCIF!" "When I learned about the vision and mission of BCIF, I immediately saw the need and purpose of contributing and investing in small businesses. I know too well the challenges of starting or taking a business to the next level and believe that the funds provided by BCIF can make an impact for some good, deserving, hard-working people. These funds are not a hand-out but instead a hand-up. If we don't help those right here in our community... who will?" "The African American small business community has been hampered historically by lack of access to traditional capital sources that tend to be accessible to other groups. Given this, it then becomes incumbent upon all of us to either be a part of the solution or acknowledge that we don't really care about the disparities. I became a BCIF member because it is an organization led by people that see injustice and instead of waiting for others to propose a remedy, it is insisting on jumping in and leading the charge for solutions. Those type of organizations are rare so supporting BCIF is very important to me." Receive a 10% discount on all goods, products, and services offered by BCIF loan recipients. Applicants submit loan applications online through the BCIF website. BCIF leadership and the fund manager will review application materials and conduct due diligence (review business concepts, viability of request, financials, etc.). If applicants move beyond preliminary screening, leadership and fund manager will conduct individual interviews with the applicant, conduct a comprehensive review of financials, and assess borrowers’ ability to repay. Recommended loans will be reviewed for final approval by a loan review committee comprised of selected BCIF donors. Borrowers are notified of application approval and loan amounts. Funding is processed and disbursed two weeks from formal loan approval. How is BCIF different from other local alternative lending institutions? The lending criteria for borrowers will not be as restrictive as they are for many other alternative lending institutions. Why does BCIF focus on real estate and start businesses? In America and in a capitalist society, its widely acknowledged that ownership, especially of real property and business, is the primary vehicle for asset and wealth building. With assets and wealth come influence and power to achieve the type of substantive sociopolitical change we seek. Helping to grow financial assets provides the Black community with the “financial muscle” to equip itself with the capacity to create the change it seeks. 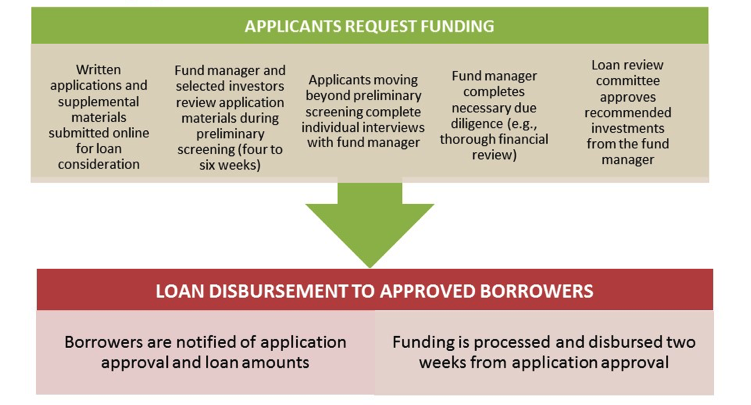 How does BCIF manage potential borrower default? Because borrower default is a common risk associated with loan programs, BCIF has created a financial model that allows it to mitigate a specific cap on the number/percentage of loans that could potentially experience defaulted payment. Of course, loan requests are vigorously screened to assess for repayment capacity and thus minimize risks for borrower defaults. Is BCIF a loan fund run by OneUnited Bank? No. BCIF is a transparent, independently operated, 501c3 nonprofit organization that is managed by direct staff, a loan review committee, and a board of directors. BCIF is housed at OneUnited. Therefore, BCIF funds and transactions are fully insured by the Federal Deposit Insurance Corporation (FDIC). Is it only for African Americans? Due to the disparities in financial assets and wealth for the Black community, BCIF microloans are exclusively directed toward African American borrowers. BCIF actively seeks and welcomes donors/activators from diverse backgrounds who are concerned about the economic state of the Black community and view economic empowerment as a primary vehicle for social and political change. What percentage of the fund’s dollars are distributed in microloans to the community? Approximately 75% of all dollars are distributed directly to the community through microloans. The other 25% covers necessary administrative costs of the fund. These costs include but are not limited to: staffing, business development activities, marketing/advertising, supplies, etc. Who will manage the funds? Back office support? The President/CEO is primarily responsible for monitoring and managing funds. Governance of funds and BCI-repeated activities is conducted by the board of directors. Can a donor make a financial gift of less than the $1,000 minimum? Yes, BCIF welcomes financial gifts of any amount. Every dollar helps to build the financial muscle of the community. What is the typical profile of a BCIF donor? BCIF donors come from all walks of life and represent various professional, political, racial/ethnic, geographic, and cultural backgrounds. There is one common characteristic between them: they all are passionate and/or concerned about the economic condition of the Black community and view it as a means to create sociopolitical change. Are there loan distribution cycles? Are loans given at a certain time of year? There is no set loan distribution cycle. Loans are given on an ongoing basis throughout the year. Loan applications are welcome at any time. Preliminary screening of application materials is completed four to six weeks from the date of receipt of the application. Once approved, funding is processed and disbursed within two weeks from approval date. Can we apply for more than one loan at a time? No. Individuals/businesses can only apply for one loan at any given time. Can I apply if I don't live in Southern California? Exceptions may be allowed in special circumstances to provide loans to individuals/businesses outside of Southern California. However, such loans must have a substantive impact on the Black community in BCIF’s target geographic area (Los Angeles and Riverside Counties). Individuals/businesses residing outside of the target geographic area should seek BCIF consultation before applying for a loan. If denied a loan, how soon can I apply again? Declined applicants must wait at least six months before applying again for a BCIF loan. Join us for another Salan Series Event! Robert Lewis has more than 25 years of professional experience working in philanthropy and the nonprofit human and social services sector in various capacities. He is currently a Community Benefits Program Manager for L.A. Care Health Plan, the nation’s largest publicly operated health plan. 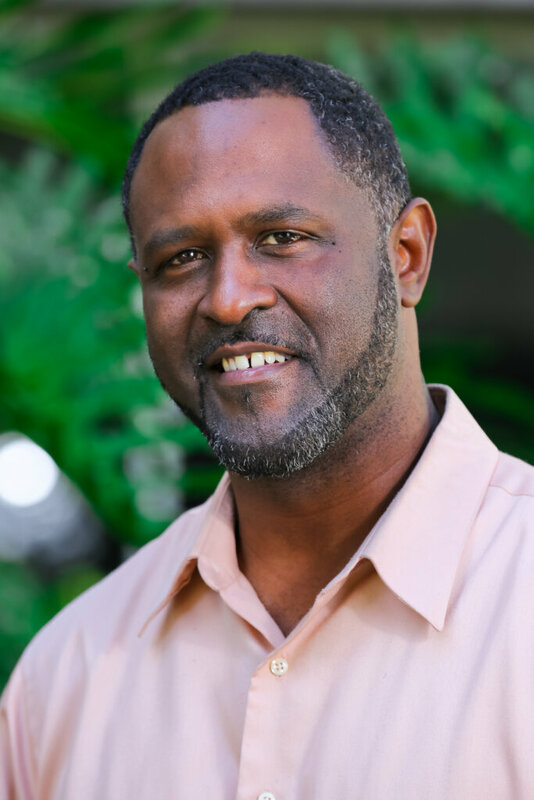 Prior to L.A. Care, Robert served as Principal Consultant for NEX-Impact, a management consulting group that provides relevant and culturally competent capacity building and technical assistance services to nonprofit organizations and helps social investors better engage and support nonprofits. In this role, he led the company in providing high quality, culturally competent services to small and mid-sized nonprofits ranging across areas such as, but not limited to: organizational capacity assessments, strategic resource development, board/leadership development, strategic planning, and retreat facilitation. Prior to NEX-Impact, Robert led the California Community Foundation’s (CCF) landmark BLOOM Initiative, a five-year, $5 million initiative with the goal of re-directing Black male youth who have been involved with the L.A. County probation system toward improved employment and educational opportunities. In this role, Robert oversaw the initiative’s strategic activities, tracked progress on desired outcomes, identified and managed relationships with grantee partners, identified partnerships with other strategic partners and served as the primary liaison with key community stakeholders. Robert also managed various grantmaking portfolios including but not limited to: youth aged out of foster care, low-income older adults and adults with developmental disabilities. Before joining CCF in 2008, he was a project director for a juvenile offender re-entry program at Prototypes and served as a senior program manager for the Permanence and Safety – Model Approach to Partnerships in Parenting (PS-MAPP) training program at The Community College Foundation (TCCF). Robert received a bachelor’s in sociology from Occidental College and a master’s in social work with a concentration in administration and management from Howard University. Robert serves on the Board of Advisors for Goodwill Southern California. He is a former board member for Hathaway-Sycamores Child and Family Services, a former program committee member for the African-American Board Leadership Institute (AABLI), and a former KCET Community Advisory Board (CAB) member. Robert brings various perspectives to his work: investor, “no box” critical thinker, service provider, concerned citizen, and lifelong L.A. resident. These qualities position him as a unique and compelling voice across various L.A. communities, and beyond. Michael Raeford has more than 15 years experience in internet company management experience. Michael began his career as an investment analyst with Sloan Financial Group, one of the largest black-owned investment firms in the country. In this role, his portfolio included technology stocks in Africa, Europe, and the United States. Shortly after leaving the investment industry, Michael co-founded and led the technology and product development of three start-up companies: eGames Group – online games (sold to Myspace in 2002), SkillJam – online games (sold to Liberty Media in 2004), and Mood Media – in-store music (IPO’ed on London Stock Exchange and the Toronto Stock Exchange in 2008). Michael and his partners operate and invest in high growth sectors and currently manage a portfolio of companies which they have started across various industries including social & mobile games (Engage Play), elder care services (LiveWell), and healthcare staffing (ATC West). Michael is also Founder and Chairman of 7Touch Group, which manages a portfolio of web and mobile applications. He serves on the board of the Student African -American Brotherhood (SAAB) and Generosity Water. Michael earned a bachelor’s degree in Business Administration, with a concentration in Finance from North Carolina Central University. Marvin Boateng is the Program Manager/Loan Officer for the Economic Development Collaborative- Ventura County (EDCVC), an organization that provides technical assistance and access to capital to small businesses in Ventura and Santa Barbara County. Marvin is in charge of lending and oversees eight small business loan funds. Over the past four years, Marvin has assisted more than 150 businesses to access more than $25 million in capital, creating more than 1,000 jobs and 200 child care slots in high priority areas in Ventura County. In 2013, Marvin was recognized by the Pacific Coast Business Times “40 under 40” for his passion for public service. Before working for the EDCVC, Marvin was a Branch Manager/Emerging Leadership Trainer in the US Bank San Fernando Valley InStore District. As a Branch Manager, Marvin achieved top awards such as Branch of the Year Finalist (2011), Pinnacle (2011, 2010) and Annual Star of Excellence (2010). Other civic engagement duties include President of the Sampa Community Educational Project, an organization that builds schools in Sampa, Ghana. Marvin is also Treasurer and Board Member for the Mayme Clayton Library and Museum in Culver City, a museum with the 2nd largest collection of African American Memorabilia in the United States. Marvin is an African American Board Leadership Institute Alumna (AABLI) and a certified Economic Development Financial Professional (EDFP). Marvin earned a double bachelor’s in African American Studies and Economics from California State University, Northridge and a master’s in Public Policy and Administration (MPPA) from California Lutheran University. Damon Haley is a seasoned Strategic and Creative Thought Partner with more than 25 years experience in the sports, entertainment and consumer products sectors. Damon has mastered the art of designing, developing and implementing campaigns that appeal to consumers, sponsors, clients, partners and investors, all the while attracting targeted audiences and promoting the brand as well as delivering millions in impressions and revenues. Damon has operated his own ‘communication solution’ agency for several years, where he focused on launching new products, consumer activations, theatrical film releases, affinity programs and sports experiences. His portfolio of clients included Nike Inc, PepsiCo Inc and Time Warner, Viacom and Turner Broadcasting Family of Brands and Networks spanning North America, South America, Europe and Asia. Prior to his entrepreneurial pursuits, he served as Sports Director at TroikaTV, Marketing Manager for Nike’s Western Region and rose through the ranks at Chevron in its Treasury, Overseas, Corporate Planning and Investment Strategy Groups. Damon earned a bachelor’s degree in Economics from the University of California, Berkeley and a Master’s of Business Administration (MBA) degree from the University of Michigan. Reverend Kelvin Sauls is a faith-based community activist and international social and economic justice advocate. He is the former Senior Pastor at Holman United Methodist Church in Los Angeles, CA. Reverend Sauls brings years of experience in, and passion for multi-generational congregational vitalization for meaningful community transformation. Being born and raised in Johannesburg, South Africa, his work focuses on the intersection of social justice from South Los Angeles to South Johannesburg. He is an intentional bridge-builder for cross-cultural and multi-ethnic congregational development in racially diverse communities. Hence, his vision has been to reposition Holman as a hub of hope and healing, and a center for wellness and wholeness for local, regional and international communities. In his 20 years of ordained ministry, he has served both local churches and general agencies in the United Methodist Church. Prior to his appointment to Holman, he served as Executive Director for New Ministries in the California-Pacific Conference, Assistant General Secretary for Congregational Development & Racial Ethnic Ministries at the General Board of Global Ministries in New York, and Director for Congregational Transformation at the General Board of Discipleship in Nashville, TN. Reverend Sauls is the co-founder of the Black Alliance for Just Immigration (BAJI), the Priority Africa Network (PAN) and the South Los Angeles Transition Age Youth, Foster Care and Homeless Collaborative. He serves as the co-convener of Justice Not Jails, a program of the Interfaith Movement for Human Integrity. As part of his passion to end homelessness in the City and County of Los Angeles, he serves as a Commissioner on the Los Angeles Housing Services Authority (LAHSA). He lives out his passion for the prevention of, and intervention around HIV/AIDS and STIs by serving on the Board of the AIDS Healthcare Foundation. Whether behind the pulpit or on the pavement, in the streets of protests, or the suites of power, Reverend Sauls is a prophetic, collaborative, and catalytic leader committed to realizing a more just, fair, and beloved world house. Melanie Mack is an innovative entrepreneur, strategic thought partner, multimillion dollar fundraiser, motivational speaker, public relations specialist, author and radio show host. She’s an Emmy award winning television development executive having worked for Warner Bros., Paramount Studios and was part of the original launch team for fX Networks before launching her own companies and raising $1.5 million in seed capital to fund an urban portal with software partner, Load Media. For more than 10 years, she has worked in fund development for several nonprofit organizations, including Weingart Center Association, Union Rescue Mission, New Directions for Veterans, and Food on Foot. She is currently Director of Development for Angels Gate Cultural Center, an organization that brings art and culture to the community through interactive classes, gallery exhibits, professional artists’ studios, art education programs in the schools, and cultural events. Melanie also runs Power of the Single Mom, a boutique firm that provides professional development and networking opportunities for single working mothers and women in need of tools, inspiration and career support. She is a contributing writer for Forbes, an African American Board Leadership Institute Alumna (AABLI), member of City Club, executive board member for The Don Cornelius Foundation, advisory board member for the California Women’s Conference, Angels Gate Park, and Girls, Inc. of Greater Los Angeles. Tiana Sanchez is CEO and Founder of TSI, LLC a Woman-Owned Small Business preparing leaders to achieve next-level results in employee engagement. Her company currently manages a portfolio of clients with a combined net worth of over $100M. For over a decade, Tiana has served as Corporate Trainer and Business Consultant to top leaders in both the public and private sectors across the U.S. She is a #1 best-selling author, producer and host of a global podcast that inspires thousands of people in more than 26 countries. Awarded the “Women of Distinction Award” in 2018 for her commitment to women, community issues, and public service, Tiana has served as a Board Member for EmpowHer Institute and as a Panel Judge for the Youth Entrepreneurial Challenge (YEC) Pitch Contest sponsored by Union Bank. Tiana sustained an impressive and long-standing career in the Retail and Financial industries where she served on the Strategic Planning team for a Teacher’s Credit Union. After eight years in the financial industry, devoid of capital, Tiana audaciously launched her company in 2011. Named 2018 “Best Executive Coaching Program” by HR.com, her company improves business performance through Leadership Development and Executive Coaching for leading brands like Mercedes Benz, Activision, and BuzzFeed. Tiana’s books Undefeatable and The Upside of Failure can be found on Amazon.com. tix4cause.com is the cause-based ticket exchange platform for causes, non-profits and charities alike, and the face of social cause marketing for businesses. tix4cause.com provides the vehicle for causes to benefit every time someone makes a purchase with up to 100% of the sale proceeds going to a deserving cause. Click Here to Support BCIF by Buying Event Tickets! Do your part to impact the Black community today! For more information about how to donate to or partner with BCIF, please send us a message below or email us at info@bcifund.org.